Decanter and glasses. Made for private commission. 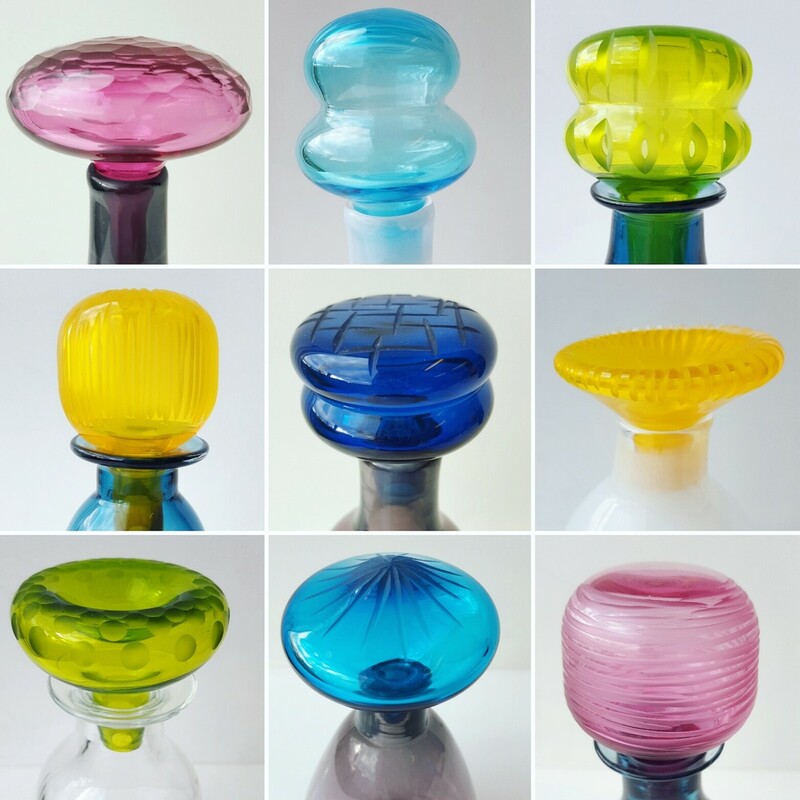 These hand-blown decanters combine traditional bottle forms with brightly coloured, uniquely patterned stoppers, carved using stone- and diamond-wheels. A new range of matching bowls and cocktail glasses is currently in development following a private commission.